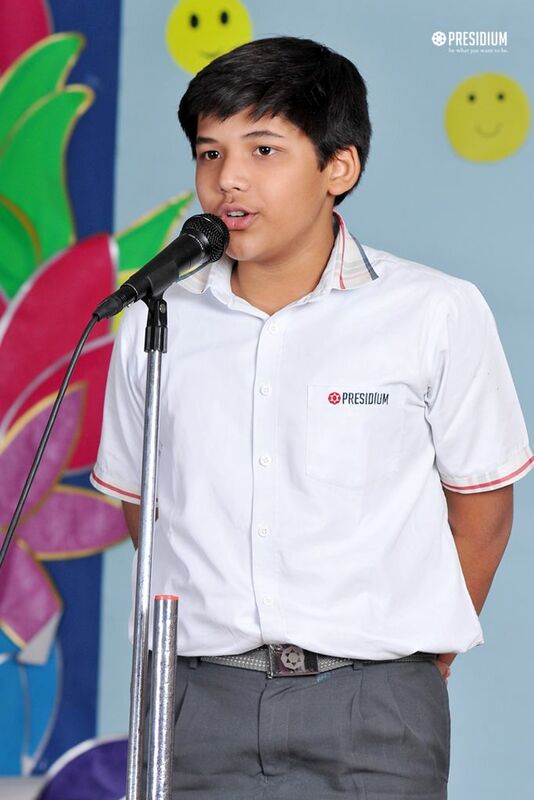 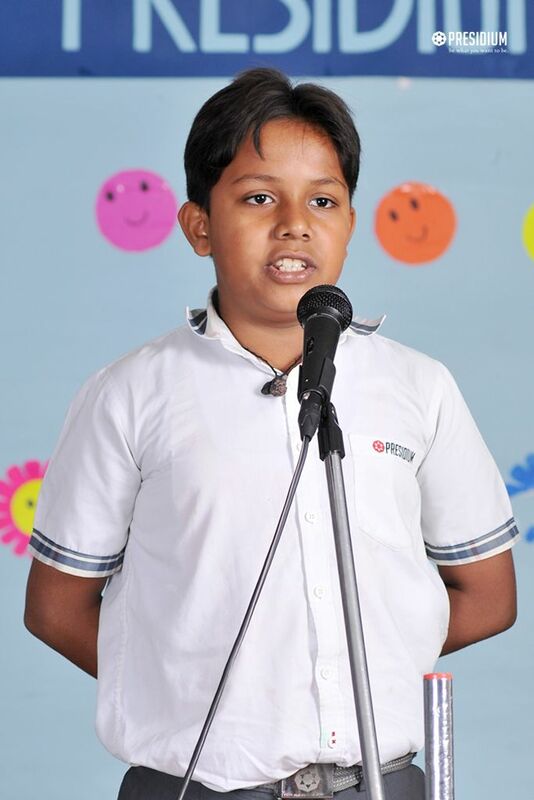 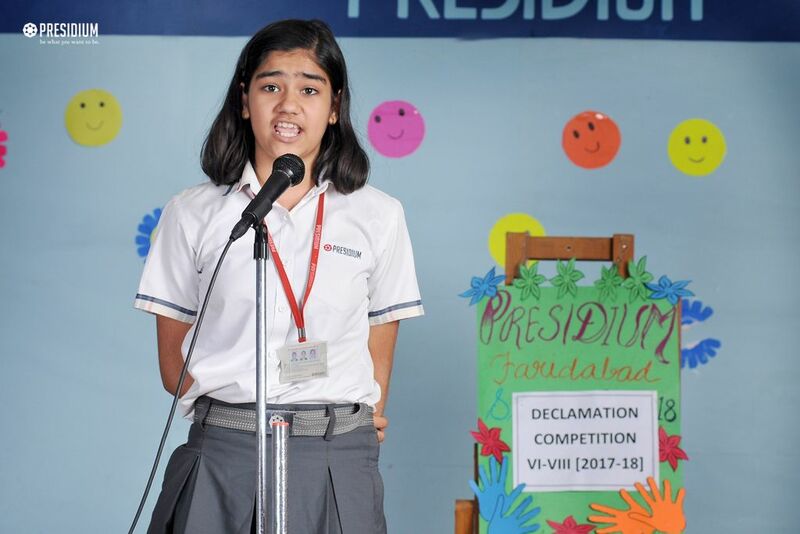 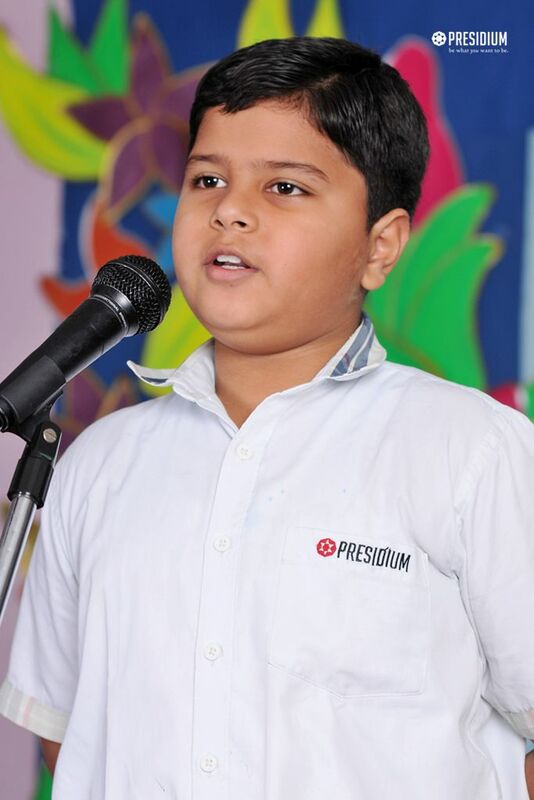 Declamation is an event which develops the oratory skills of the students and give them an opportunity to express their views in front of the audience without hesitation. 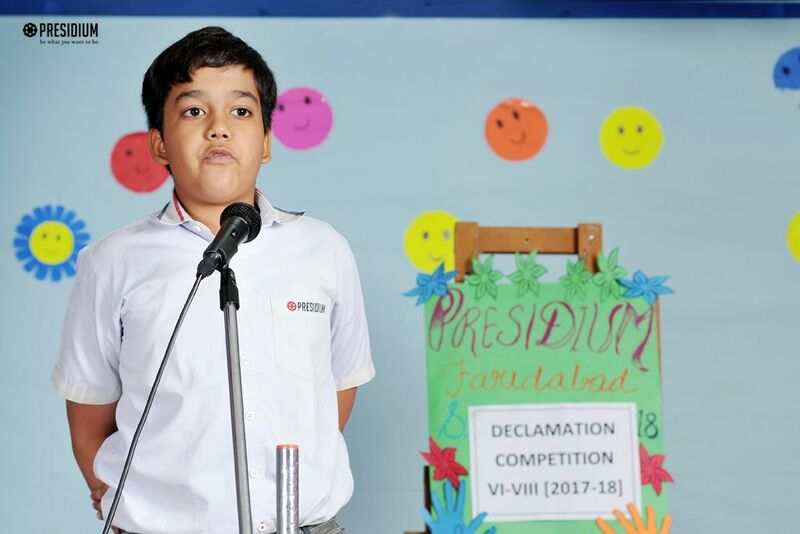 Presidium offers a platform to its students to eloquently communicate through the words of wisdom from poets, orators and writers. 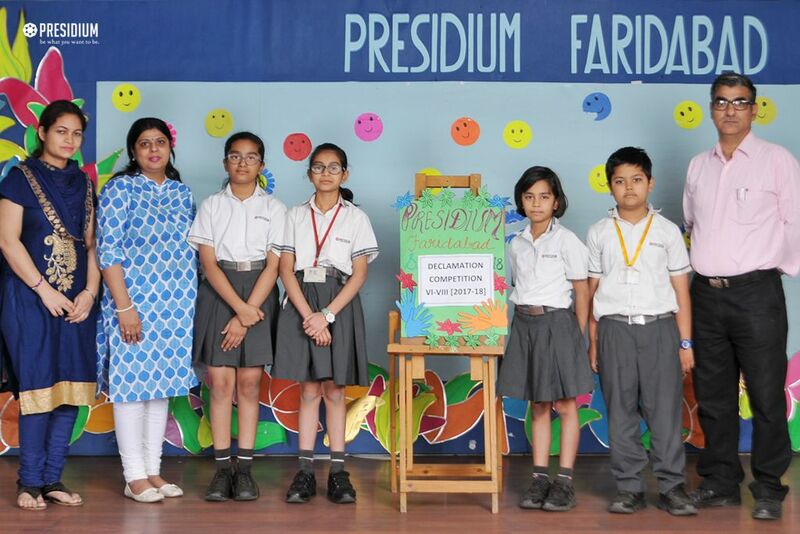 Presidium, Faridabad organized an ‘Inter class declamation competition’ for Grades VI to VIII on 9th May 2017. 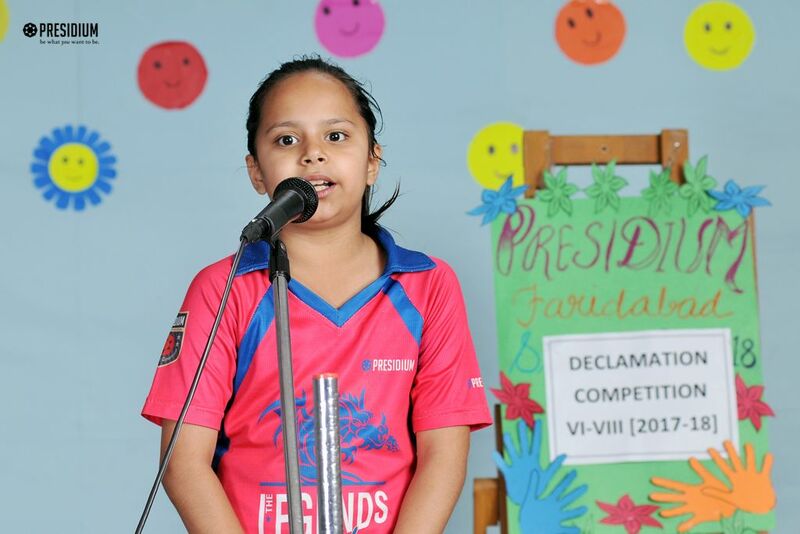 Young Presidians participated enthusiastically with the healthy spirit of competitiveness. 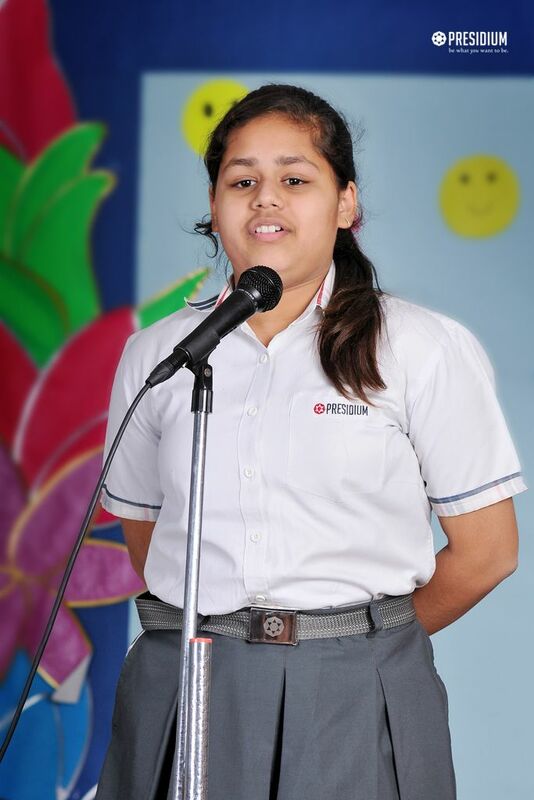 It was aimed to enhance communication skills and promote critical thinking among the students. 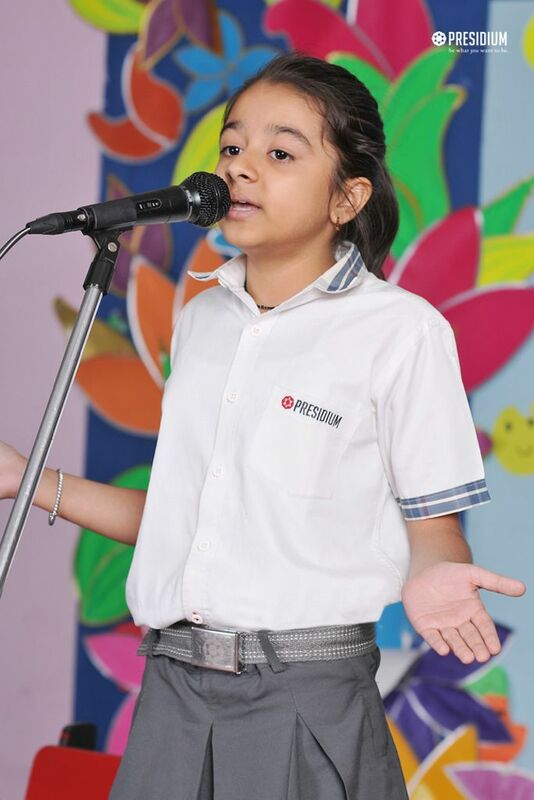 The students wonderfully presented their views within the given time. 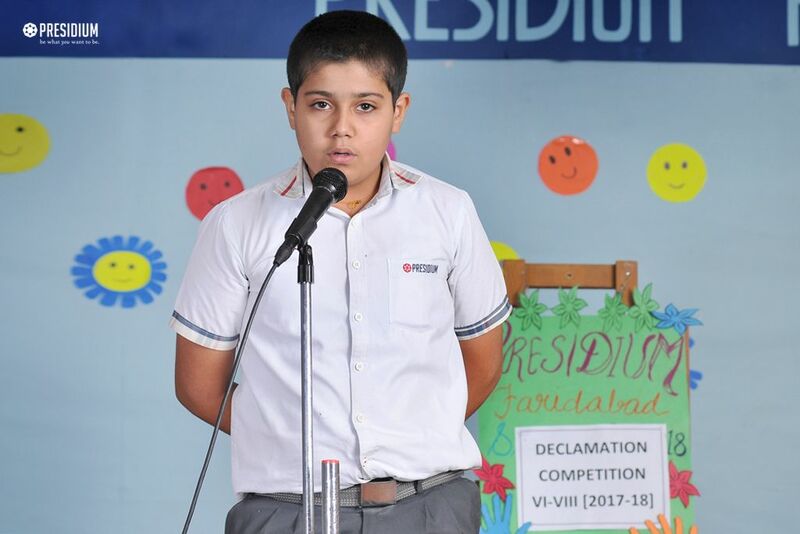 They displayed confidence, enthusiasm and alertness while participating in the competition. 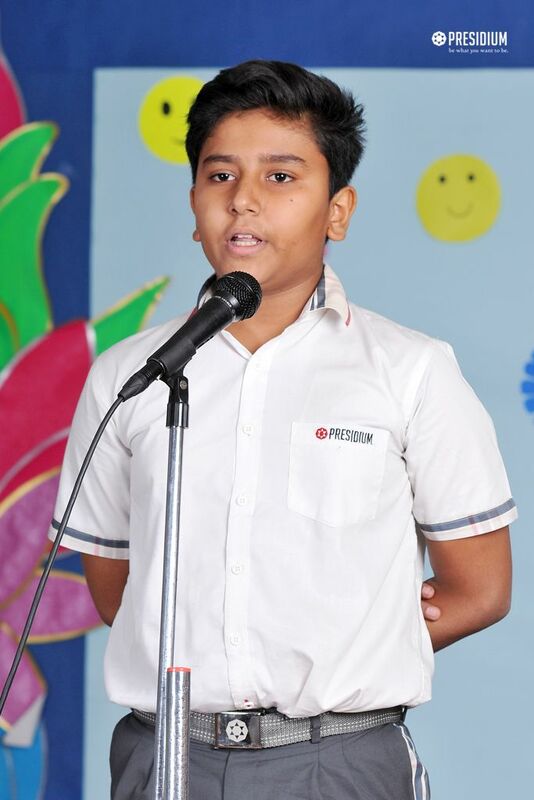 It was really a wonderful experience for the students to express their feelings and thoughts on a variety of topics.